A workshop arranged by Institutional Quality Assurance Cell of BUTEX was held in the seminar room of BUTEX on 31st March, 2016. 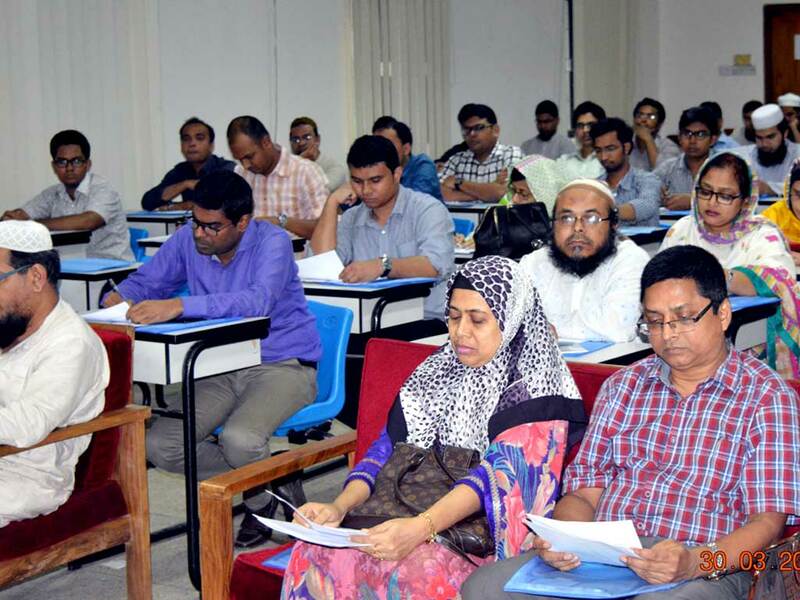 Professor Monirul Islam, Registrar of the university presided over the workshop and Honorable Vice Chancellor was present as chief guest. Prof. Dr. Mesbahuddin Ahmed, Head, Quality Assurance Unit, HEQEP, Prof. Dr. M. Abul Kashem, Quality Assurance Specialist, Quality Assurance Unit, HEQEP and Prof. Dr. Sanjoy Kumar Adhikary, Quality Assurance Specialist, Quality Assurance Unit, HEQEP attended the workshop as special guest. The session started with a welcome speech by the Director of IQAC-BUTEX Dr. Forhad Hossain. As an inception workshop, the speakers mainly elaborated the needs of ensuring balanced composition of three components of education namely knowledge, attitude and skills and demonstrated how they can play important role in this changing world. The session also included the demand and functionality of Education Accreditation Authority, the process of their operation and the long run outcomes from such system. The Deans, Departmental Heads and all Faculty Members were present in the workshop and enjoyed the session.